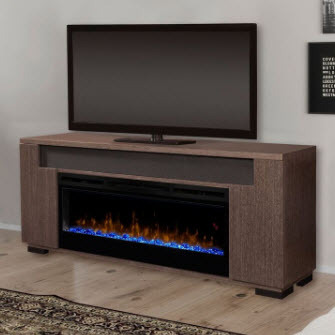 The clean, contemporary lines of the Haley Media Console Electric Fireplace are elevated by a dash of industrial design with its robust metal feet. 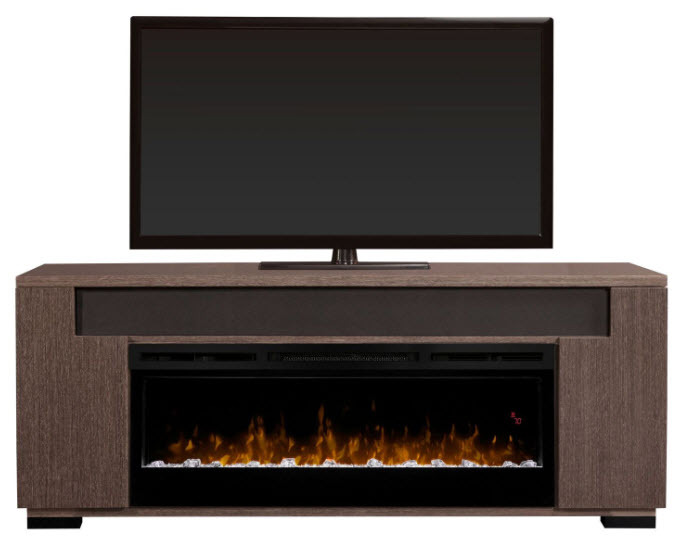 Integrated speaker compartment and a stunning linear fireplace make this design a marvel of technology. 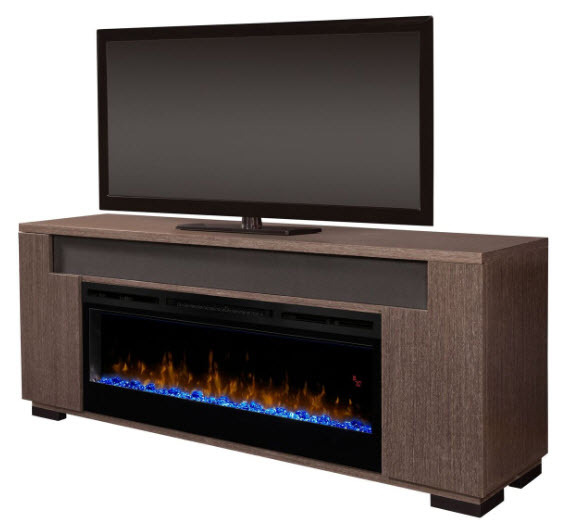 Presented in a Rift Grey finish, the Haley Media Console is a picture-perfect modern complement to home electronics. Includes Samsung Soundbar which features a 2.2 channel 3D sound, dual woofers for rich bass, Bluetooth wireless connectivity, and USB port. Remote Thermostat Control: Temperature control at your fingertips for convenient comfort. 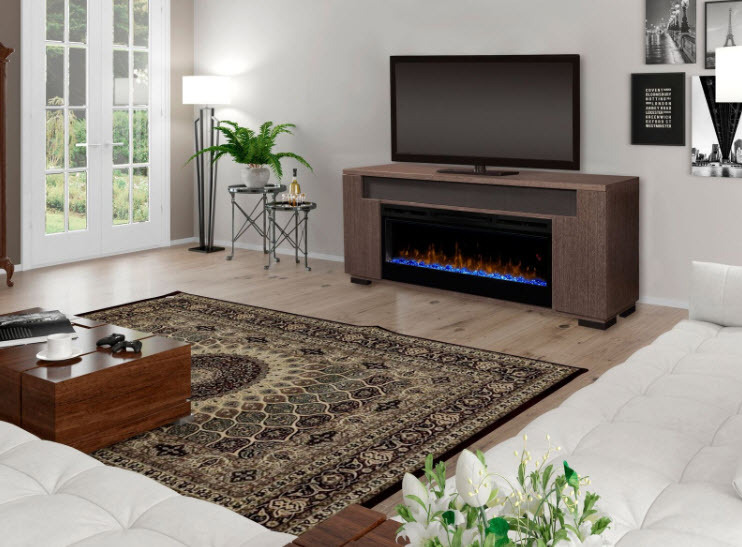 Multi-function Remote: Control the flame, heat and thermostat from the comfort of your chair. Cool-touch Glass: Glass remains cool making it safe for any location and any user. Cord Management: Includes an integrated cord management system that allows you to organize and conceal all the electrical cords for a clean, cable-free look. Storage: Includes ample storage space for electronics and media components. Fully Assembled: No assembly required. Just plug in and enjoy. Can this product come in black?